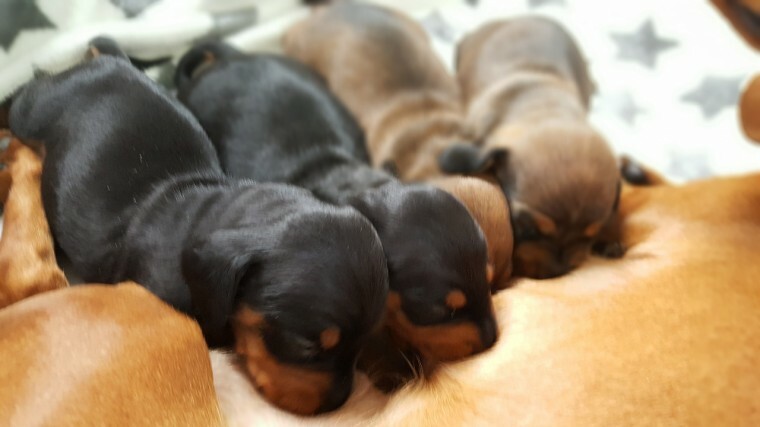 For sale smooth hair dachshund puppies. 1 boy.black and than 1 boy. red shade 1 girl.black and than 1 girl .red shade reserved They live under the care of mother with other pets and childrens. Puppies will get microchip . first vaccination .and blanket.Mother is available to see.100 deposit. For more information.please contact me.